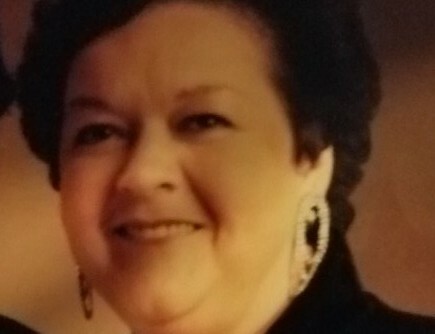 Obituary for Margaret E. "Peg" (Spencer) Grohoski | Devlin-Rosmos-Kepp F.H. & C. S.
Margaret E. "Peg" (Spencer) Grohoski, 75, wife of John J. "Grassy" Grohoski, Jr.of Phoenixville, PA, died on Tuesday, January 22, 2019. Born on March 21, 1943 in Royersford, PA, she was the daughter of the late William and Pearl (Rhoades) Spencer. She graduated from Spring City High School and organized school reunions for 40 years. She worked for Western Electric in King of Prussia, retiring from AT&T. She was a member of Sts. Peter and Paul Ukranian Catholic Church, Phoenixville, PA.
Survivng in addition to her husband is son, John J., III husband of Karen Grohoski. Preceded in death by brother, William Spencer, Jr. Relatives and friends are invited to attend Divine Liturgy in Sts. Peter and Paul Ukranian Catholic Church, Fairview and St. Mary Sts., Phoenixville, PA on Monday, January 28, 2019 at 10:30 am with Rev. Ihor Royik officiating. Burial to follow in Sts. Peter and Paul Cemetery. Friends may call at the church on Monday from 9:00 to 10:15 am. In lieu of flowers contributions may be made to Sts. Peter and Paul Ukranian Catholic Church, 472 Emmett Streeet, Phoenixville, PA 19460.